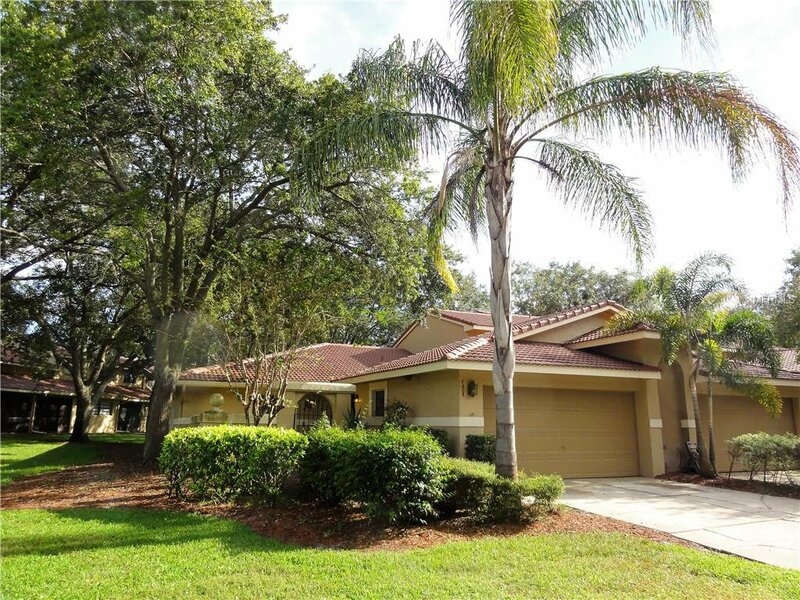 Highly sought after single story, end-unit, 3 bedrooms, 2 baths, 2 car garage Capri floor plan in desirable gated Sandpointe in the heart of Dr. Phillips with A rated schools. This freshly painted corner unit has ceramic tile floors throughout with a completely updated 2nd bath & kitchen with real wood Thomasville 42" self close cabinetry, granite counters & stainless steel appliances + washer & dryer. The private gated courtyard, alarm & camera system give you the security you desire. All the bedrooms feature plantation shutters, brand new carpet, walk-in closets & the master bath has a jetted whirlpool tub. Enjoy an evening stroll to Trader Joe's & The Parkside community park which are just around the corner. The Marketplace is located across the street featuring a wide array of shops & restaurants including a Greenwise Publix, Starbucks, Steinmart, Home Goods & Office Depot for your last minute shopping needs. Preview your favorite book at Barnes & Noble, or visit one of the many restaurants on the famous Restaurant Row to curb any craving you may have. Dellagio is just minutes away offering specialty restaurants such as Big Fin Seafood & Flemings Steakhouse. Sandpointe offers a heated community pool along with a fitness studio, Bocce Ball court & double tennis courts. Carefree living at its best in a gated community, with the HOA taking care of the exterior & roof maintenance, all the lawn maintenance plus a termite bond for your peace of mind. All this, at a great value, in an excellent location! Listing courtesy of COLDWELL BANKER RESIDENTIAL RE. Selling Office: NON-MFRMLS OFFICE.